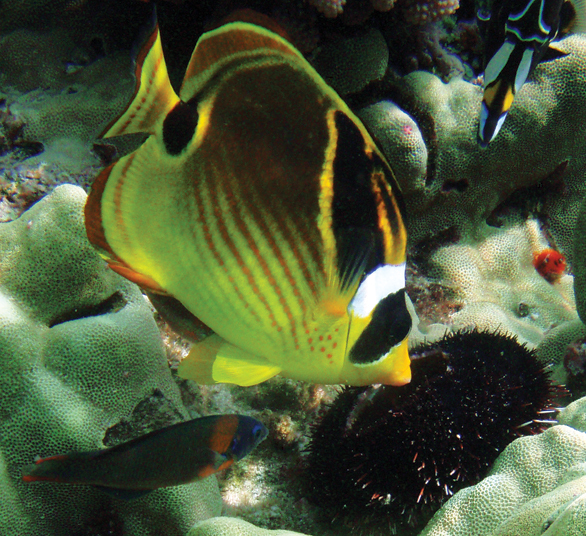 After several years of debate, the State of Hawaii in December, 2013, passed a new set of Rules governing the harvest (“take”) of marine species from the West Hawaii Regional Fishery Management Area. This area falls along the west coast of the island of Kona or Big Island, and is the largest source of marine fishes for the aquarium trade. According to a statement from the Hawaii Department of Land and Aquatic Resources: “This measure will help protect populations of species that are rare, potentially overfished and/or are not suitable for home aquariums. This rule will reduce the threat of population decline of rare species, a major concern of stakeholders interested in the the long-term health and biodiversity of our coral reefs.” The Rule does not affect other places where aquarium fishers work, notably the island of Oahu. The following are the only marine fishes that may be legally collected for sale in the marine aquarium trade. Species not on the list may not be taken in this area.